I haven't used these yet, so no swatches, but I will post photos when I do use them. 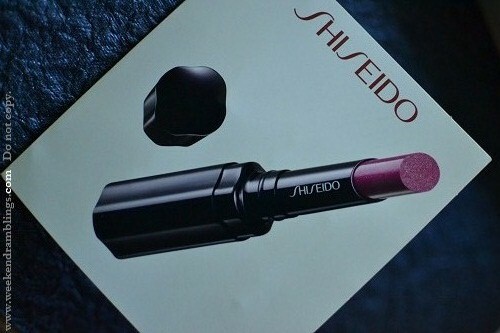 Have you tried any lipsticks from Shiseido? I haven't, though I do have two lipliners which I love. 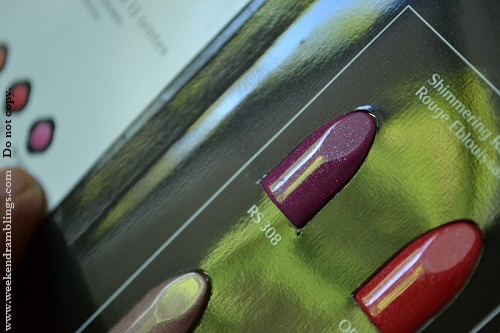 i'm too waiting for the swatches n review rads.. these luking sooo pretty.. These are sooooo pretty.... that first pink shade looks yumm... depot them rads and swatch for us.... no waiting till you go out! 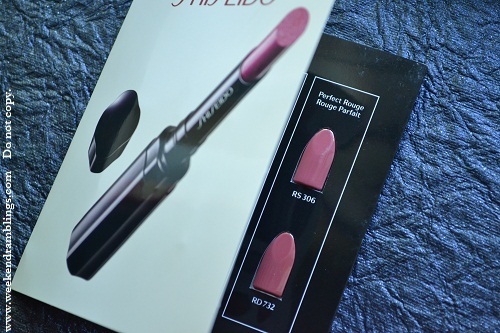 Peereeya - I have read some nice reviews on these lipsticks...me try and tell. Nidhi - They look cute, don't they? dis looks so pretty..even I wanna seee..